1992年500元，生肖系列，猴年。SINGAPORE. 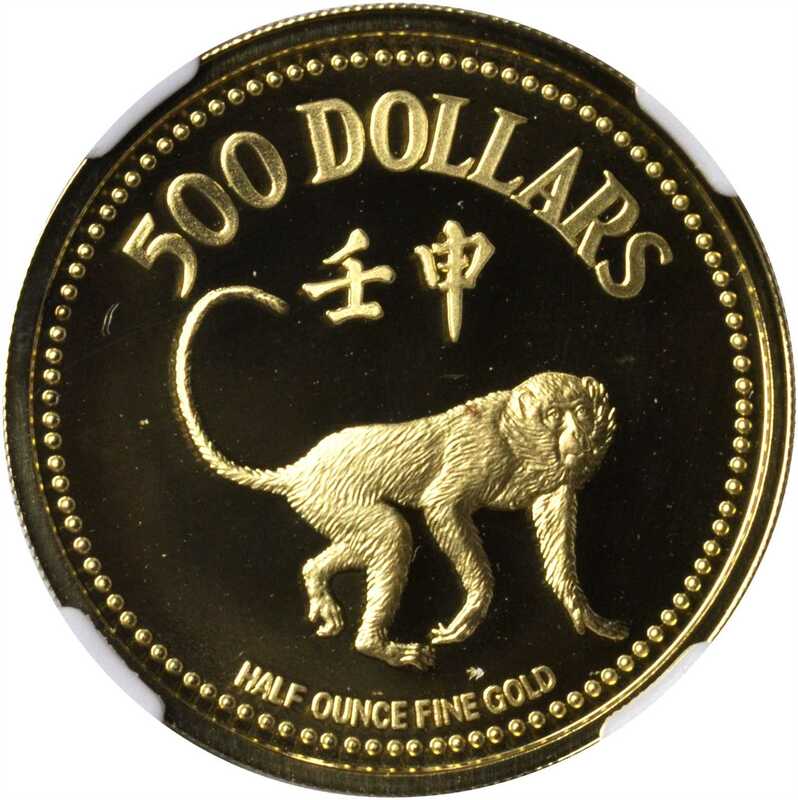 500 Dollars, 1992. Lunar Series, Year of the Monkey. NGC PROOF-69 ULTRA CAMEO.发行量5,000枚，证书编号1842，亦附原盒。NGC PROOF-69 ULTRA CAMEO.